We take pleasure in introducing ourselves as leading firm by offering Toughened Safety Glass. • Pieces of sheet or plate glass suspended in electric furnace until soft and suddenly cooled by blowing air on both sides. • Fragments have no cutting edge. • Toughened glass withstands a dead load more than four times that of ordinary glass. 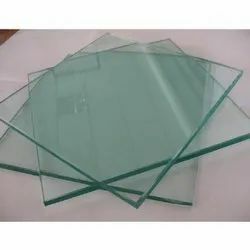 Gold Plus tempered Safety Glass is suitable for application where greater strength and safety are required. We are offering 12mm Toughened Glass.